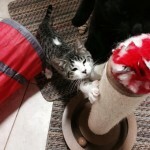 Paisley came to Fixed Fur Life with mom who was a stray and had her kittens outside. 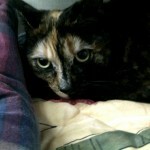 She has been Spayed and has now been adopted. 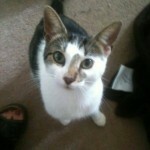 Molly was a pregnant female taken in by Fixed Fur Life. 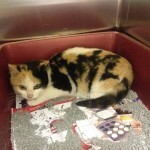 Her kittens have all been Spayed, neutered and adopted and now Molly who is now Spayed has gone on to her new home. Hansel and Gretel were brought to Fixed Fur Life today. Rescued from the cold. They had showed up on a back porch. Young approx. 5 months old they are presently being Spayed and Neutered. Heidi and Maggies owner had to go into a nursing home. They have been successfully adopted together! 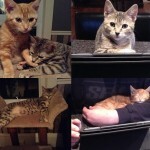 Huckleberry and Finnigan were found as wee babies in the cold weather outside trying to fend for themselves. 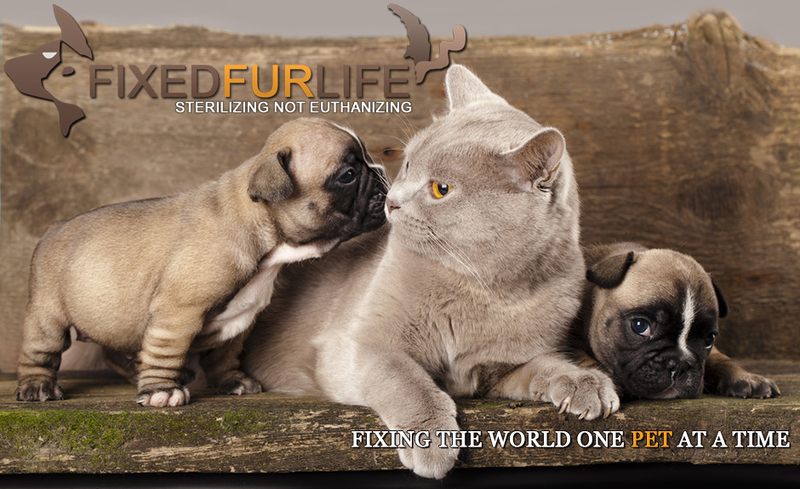 Brought to Fixed Fur Life they were treated for a SEVERE infestation in fleas as well were malnourished. 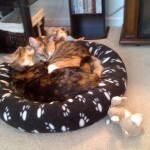 Adopted together they are shown her happy and healthy in their new home. 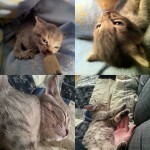 Tim and Teddy shown in the top pics when they first came to Fixed Fur Life as abandoned newborns.. Shown in the bottom pics happy in their new home. They were adopted together. Bella came from a neglectful background. Shown in first picture you could see the apprehension in her eyes. 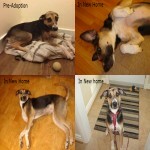 Shown happily adopted in the next 3 pictures. Dakota’s owner could no longer care for. A little shy at first. 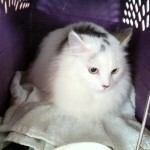 She was Spayed by Fixed Fur Life and has now found a new home! 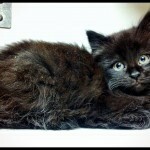 Marabella came to Fixed Fur Life nursing 8 kittens. She was found under an abandoned trailer. Her kittens have been adopted. 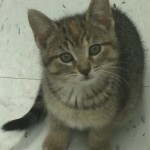 She is Spayed and has now been adopted! These 4 were saved from being hit on the Shannonville Road. A big Thank you to the man who scooped them out of the middle of the road and brought them to us. 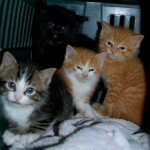 They were all spayed and Neutered and adopted! 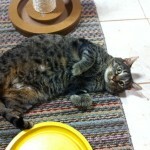 Charlie’s mother came to Fixed Fur Life as a pregnant stray. 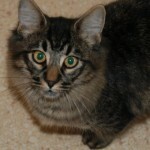 His mom was spayed and adopted as well as his sister. 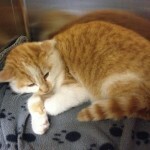 Charlie was also Neutered and has now gone on to his new home! Mika’s mother came to Fixed Fur Life as a pregnant stray. Her mom was spayed and adopted as well as her brother. 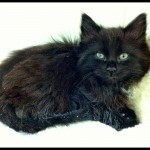 Mika was also spayed and has now gone on to her new home! 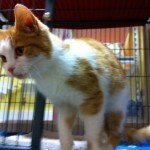 Mimee was rescued from a shelter. She has now been Spayed and vaccinated. She was ultra shy but ultra sweet! Placed in a new home perfect for her! 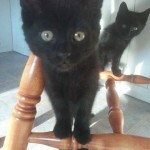 Billy and Barnaby were living with their mother and 2 sisters under a deck in this cold weather. Their 2 sisters have been adopted and mom has been Spayed. These sweet little guys have found a home together! Spikey was found in a parking lot at a local Theatre. He was running from person to person meowing. An extremely friendly little approx. 16 week old boy. Zero identification or chip. He was treated for a severe infestation of worms. He has now been adopted! 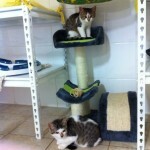 Bailey and Bianca’s mom was an un spayed pregnant stray. 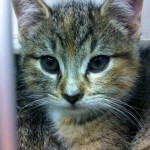 She and her 5 siblings have all been adopted and mom has been Spayed.